Davide Palmer has been playing the piano for 25 years. He received a full scholarship to enter the Domenico Cimarosa Music Conservatory in Italy, where he studied several years under Professor Ida Nota. He also gained experience at the Manhattan School of Music, NY, where he received training under professor Dr. Solomon Mikowsky. He has competed in numerous piano competitions and events, winning in many of them. He has been an active accompanist/soloist for his church for the last 15 years, having played for weddings, funerals, singing groups, and soloists. 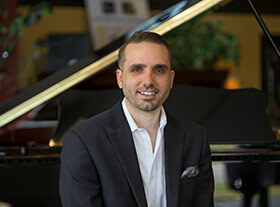 Davide Palmer is an active member of Cherokee Music Teacher's Association (CMTA), Georgia Music Teacher's Association (GMTA), and Music Teacher's National Association (MTNA). He has busily maintained a highly active, successful studio, where he regularly teaches around 50 students in East Cobb, West Cobb, North Fulton and Cherokee Counties. Each year, many of his students compete at the local and state level, many of whom receive the highest ratings. Mr. Palmer has more students who regularly qualify for the state competitions than any other teacher in Cherokee County. 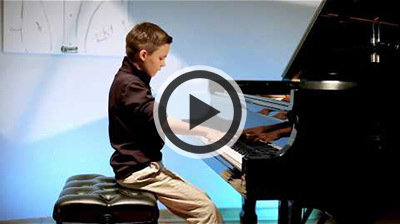 Many of his students regularly perform in church, events, masterclasses, and recitals.